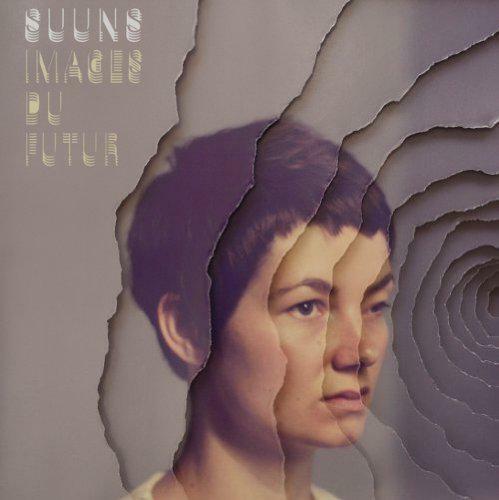 It's clear early on that Suuns' Images du Futur are not particularly optimistic ones. Opening track 'Power of Ten', built on anxiously strummed, distorted guitar and bursts of howling noise, has the sound of an almost apocalyptic agitation running through it, the vocals sounding as though sung through grinding teeth. As with their previous album, Suuns are masters of restraint. Songs are built on the barest of components, with occasional blasts of sound creating a chaotic sense of disorientation. Here their restraint is used to even more devastating effect, with the songs looping into sinister levels of tension. Album closer 'Music Won't Save You' is built on a pulsating synth and sparse electronic beats. Stabs of syncopated guitar and doomey drones gradually build up over repetitions of the song's title, the atmosphere becoming increasingly ominous when spooky samples of crowd chatter enter the mix. We don't get the obvious crescendo or resolution which typically close an album. Rather, the track comes to an abrupt halt. 'Minor Work' and '2020' sound like sexless disco songs, the music reduced to pure functionality. The four-to-the-floor kick-drums and driving basslines remain, but dry guitar arpeggios and discordant synth-lines are played over the minimalist grooves, reflective of the cold futurism which characterises the album. 'Minor Work' opens with the line, "It's good feeling good/ It's good feeling high" sung in a dead-pan, humourless voice. Again this adds to the cold, detached, almost mechanical feel. This is album sounds like the soundtrack to failed utopias, a view of the future which takes its inspiration from JG Ballard and George Orwell rather than Thomas More. The album's title track is an almost ambient instrumental. However, this isn't new age serenity. Deep bass drones lurk among harrowing strings, a swarming hive of keys and almost unrecognisable guitars. On 'Edie's Dream', there are shuffled, loungey drums, perhaps trying to portray the languidity of sleep. However, the beat is twitchy, and the track interupted by splintered guitar and bursts of white noise. The repetition of the line, "These same visions..." leaves the listener in little doubt that Edie's dream isn't a pleasant one. Images Du Futur was written at the time of the mass student protest in Quebec last autumn. This is far from a protest album, but what we have is something clearly reflective of its context. Through their stark, minimalist music, interspersed with blasts of violence and noise, Suuns have made an album which soundtracks with spectacular efficeincy tumultuous cities and confused futures.